This winner of the Audience Award for Best Documentary at the 2014 Sundance Film Festival investigates the power of music. Dan Cohen, a social worker, decides on a whim to bring iPods to a nursing home. 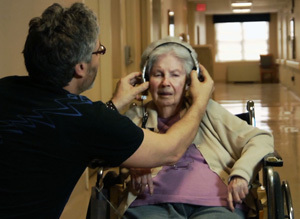 To his surprise, residents suffering from Alzheimer's Disease seem to "awaken" when they are able to listen to music from their past. Joined by renowned neurologist Dr. Oliver Sacks, the film leads us to a deeper understanding of how music functions in our brains and its power to transform those who most need it.